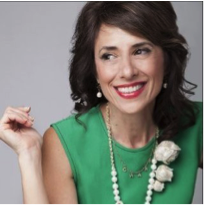 Diane Najm is CEO & Founder of PhotoPad for Business. Diane is passionate about the start-up community, where she has served as a director of the Seattle Founder Institute, and as a mentor, coach and organizer to Start up Weekend. Diane is an expert panelist and speaker on entrepreneurship, invited to the White House Digital Tech summit as well as many others. She seeks ways to help entrepreneurs connect with one another and provides resources to assure success. Diane is a thought leader and advocate for women entrepreneurs, empowering them to pursue their passions by serving as advisers to start-ups, board directorships and women in tech. Diane lives in Kirkland with her husband Tarek and son Qais. “Great vision is not about knowing everything”. As a Freshman CEO I learned this as I navigated leading a tech team coming from a non-tech background and learning to find balance to empower the team and move forward. Join us to learn Diane’s journey and advice for entrepreneurs and start-up executives! We’ll need to make reservations, so contact Carmela if you’d like to join us! Rotary Youth Exchange Scholarship Opportunity! The Youth Exchange Committee is currently recruiting students who are 15-19 years old and would like to experience life in another country. Candidates should be above-average students who are adaptable and flexible when adjusting to new and unanticipated situations that commonly arise when living in a different culture. Applications for both the Youth Exchange Scholarship (one academic year) and summer exchange program are due on October 31, 2016. This is a wonderful opportunity for a student who is ready for the adventure of another culture. Please contact Colleen Turner at 425-306-7391 or colleenturner@centurylink.net for additional information.